About a week from now, our house will be invaded by rugrats, ankle-biters and assorted other little pre-school twerps, all of the thoroughly buzzed on sugary holiday treats. Among my many responsibilities that day will be to keep them entertained. My arsenal of digital diversions includes several Christmas-themed games, including a new one called Christmas Cookieland. 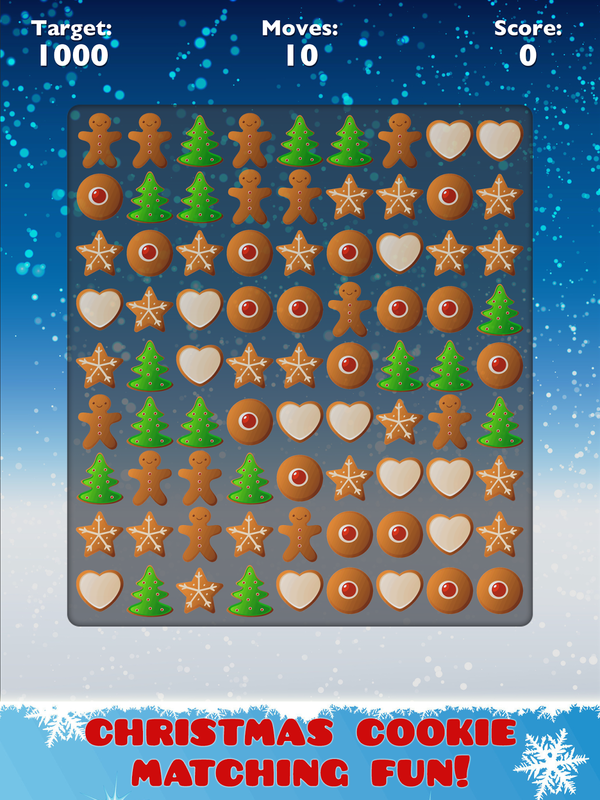 It's a matching puzzle game that challenges players to score points by matching Christmas Cookies together in a line of three or more cookies. Christmas Cookieland is a bit more challenging than other matching games aimed at younger players. Most of them just want to remember and match two hidden images. Christmas Cookieland requires more visual acuity to find patterns in an array of hearts, stars, fir trees and gingerbread men. I expect some of the older kids and even a few adults will want to try it. You can find Christmas Cookieland priced at 99 cents in the Apple iTunes Store.